As a feeding therapist, I work closely with the parents of picky eaters. Parents are often stressed and have tried everything in their power to get their kids to eat nutritious foods. 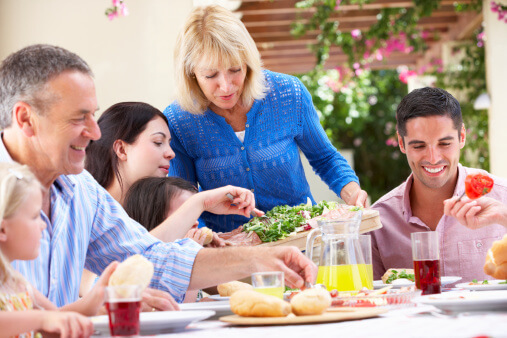 When I ask a mom or a dad what they ultimately want out of therapy, they typically respond “I just want to enjoy family dinner.” This can be tough when dealing with picky eating. Learning to be an adventurous eater takes time. Farmer’s Markets, Gardening & the Produce Isle: Before new foods ever show up on their plates, create family memories by gardening or shopping together at Farmer’s Markets and the produce isle. Get the kids involved preparing new veggies in the kitchen by washing each one in a carrot, parsnip and rutabaga car wash under the kitchen faucet. Older kids can chop, younger kids can count the pieces as they fall into the serving bowl. Start the Meal with a Song. Preschools do this all the time when transitioning to a new activity, such a snack or circle time. Try playing “On Top of Spaghetti” as you sit down at the table for Pasta Night. Set the tone for the rest of the meal with music. Dish Up Family Style: For most families, family style serving encourages your child to interact with new foods, such a peas, by dishing up his plate. Better yet, make him in charge of dishing up everyone’s plates. It’s simple, the more exposure he has to peas, the more he gets used to the presence of peas on his plate. That’s the first step to eventually tasting peas. Don’t focus on the bite. All the bribing and pleading just to get kids to take one bite just adds stress to family mealtimes. If your child continues to have trouble trying new foods, consult a professional feeding therapist, typically a certified speech language pathologist or occupational therapist who has experience with picky eaters. Get Messy. Kids need to explore foods through all of their senses and our hands have millions of nerve endings that enable even the youngest eaters to learn about all aspects of food before it reaches the mouth. If you child can’t tolerate the texture of Grandma’s mashed potatoes (as delicious as they may be) then help him create mashed potato pictures, finger paint with colored mashed potatoes and build mashed potato mountains. Keep it joyful! Family mealtimes are about FAMILY. Studies from Columbia University found that kids who have regular family meals grow to make better decisions regarding drugs, drinking and peer relationships. It’s an important time for them and for you. Focus on the family – and try some of the tips above to eventually celebrate that first bite of broccoli! Learning to be an adventurous eater is a step by step process…enjoy the journey! Melanie Potock, MA, CCC-SLP is a certified speech language pathologist, a national speaker on the topic of picky eating, and the author of the award winning parenting book, Happy Mealtimes with Happy Kids: How to Teach Your Child About the Joy of Food! Thanks so much for the opportunity to write this series for Dr. Greene.com! 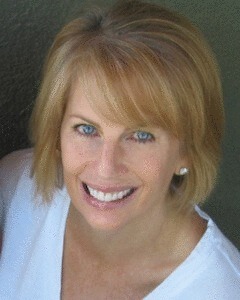 I hope readers will visit http://www.mymunchbug.com and connect with me on twitter/facebook/pinterest. Happy Eating everyone!